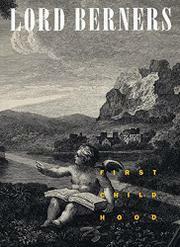 In this memoir of his earliest youth, first published in 1934 in Great Britain, Lord Berners captures the devilish enchantment and perilous anxieties of an upper-class schoolboy, living at home with Mum, and perched on the brink of adolescence and also at the outer limit of the Victorian age. Berners (1883—1950), sometimes called the “English Satie,” eventually enjoyed a glamorous life as a composer, style-setter, homosexual, art-lover, and well-heeled host. But here he plants himself firmly in the “dreadful plainness”of England as it lunged forward into the1890s. Dismal at sport in a world which exalted it, and precociously drawn to the arts (perish the thought! ), he was sent off to boarding school at the age of six. He recounts his traumas and yearnings there in humorous and honest detail, casting himself much like “Blake’s little figure . . . stretching out its ladder to the moon.” The unspoken strains of adolescence also vie for young Berners’s attention. At last his dangerous attraction for Longworth (and his first awareness of homosexual longing) is halted in a boyish escapade involving stolen cigarettes and moonlight bathing the school rooftop. Then summer intervenes with its athletic outings, picnics, and family intrigues. Lord Berners reflects on those fortunately —pre-Freudian, pre-Havelock Ellis generations.” His spirit of candor and his literary panache combine to recreate a now-vanished youth, as well as the innocence of a larger bygone age. Out of the “squalid dustbin of school life,” Berners has extricated the stuff of romance. Though his privileged upbringing has often been bashed elsewhere, now it comes in for a well-earned share of nostalgic magic. So close one eye, squint politely, and read the words of Berners as the starry prelude to a life not yet lived.